The school emphasizes on imparting practical knowledge along with the study of theoretical concepts.To fulfill this objective, the school has three well furnished laboratories one each for Physics, Chemistry and Biology. Tribune Model School has a well equipped Physics Laboratory where the students get first hand learning experience by performing various experiments on their own.It helps students to understand different scientific concepts and makes learning easy. 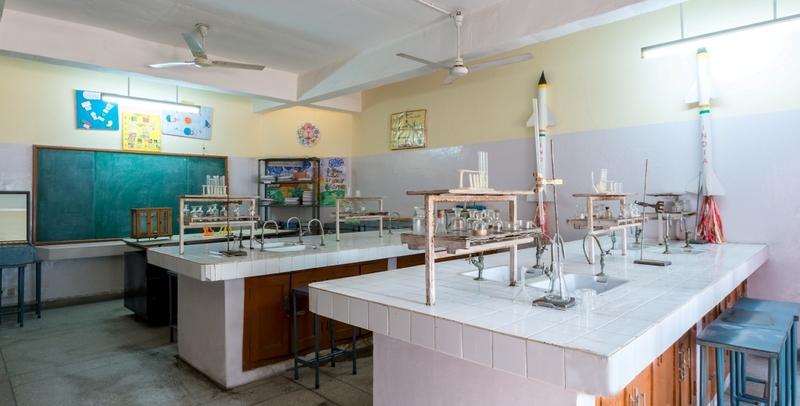 The School has the latest Chemistry Lab with supplies, equipment and a computer to make science interesting and effective for students and to encourage them to make significant contributions in the field of science later in life. We have a well equipped Biology Laboratory where the students get a chance to prepare slides on their own.Laboratory enhances the quality of study of Biology with the help of specimens,charts and other related chemicals and apparatus.Students are given opportunity to carry out their experiments as the laboratory has adequate and appropriate material and equipment.